This year, on October 5, 2016, Plymouth Harbor held its first-ever Blessing of the Assistance Animals. Lead by Chaplain Sparrow, the event drew several residents and assistance dogs who call Plymouth Harbor home. 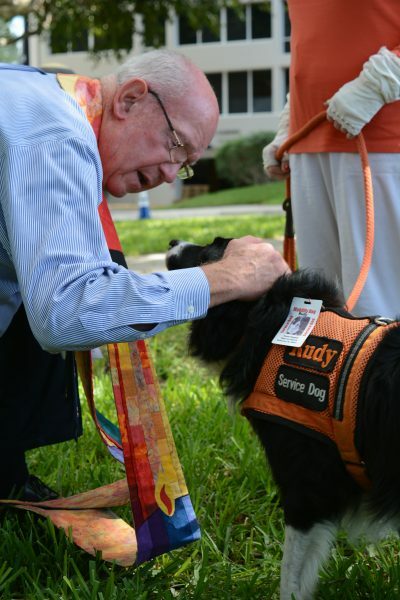 For the last 10 years, Chaplain Sparrow has performed this service annually, in which he has blessed a variety of assistance animals — from dogs to cats, fish to birds, goats to horses, and even reptiles. According to Chaplain Sparrow, this service is performed each year on October 4th as a way of celebrating the Patron Saint of Animals, Saint Francis of Assisi. 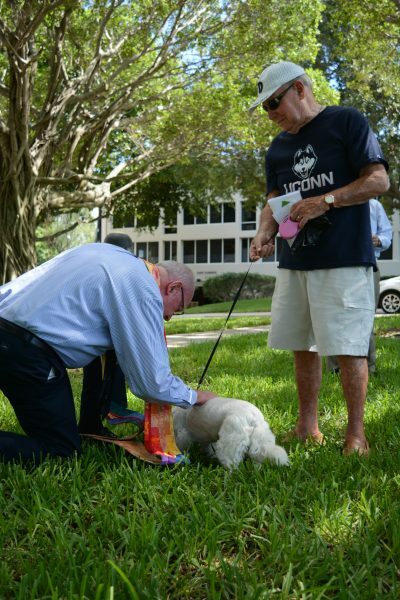 In remembrance of St. Francis’ love for all creatures, animals are led to churches for a special ceremony, or “blessing of the animals.” Millions of animals are blessed each year in these ceremonies that touch the hearts of those in attendance. Chaplain Sparrow plans to continue the tradition, and hopes to draw more residents and assistance animals with each service. While attendance is difficult for some who have assistance cats, he hopes to invite those individuals to bring a photo of their loved one next year. This year’s service was held only one day after St. Francis’ celebration, and Chaplain Sparrow intends to continue to have the ceremony take place as close as possible next year.